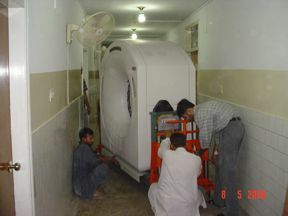 Multislice Helical CT Scanner in Healthways, Pakistan. 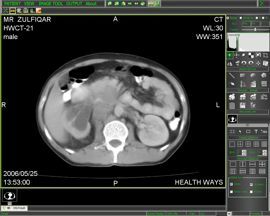 Due to our efficient after sales service, Healthways Medical Diagnostic Centre Rawalpindi, Pakistan chose Sunshine to install a Multi Slice Helical CT Scanner from Neusoft in their Radiology Department. 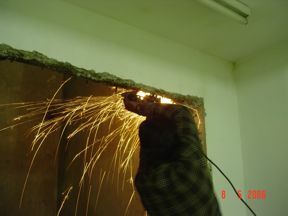 It was a challenging experience since the gantry had to be lowered down inside the basement and the only possible method was to do it through the Elevator Shaft. 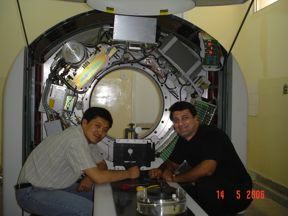 Mr. Leo (Senior Engineer, Neusoft Medical Systems) and Faisal Mirza during Phantom Calibration. 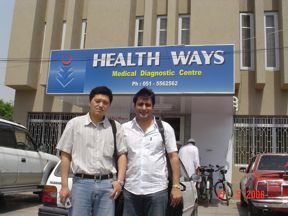 Mr. Leo and Faisal Mirza outside Healthways Medical Centre. 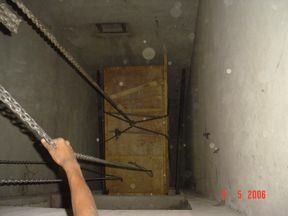 Sunshine's staff making way for the Gantry before it was lowered down the Elevator Shaft. Gantry Package being transported into Healthways. Gantry Package Suspended into the Elevator Shaft (Top View). 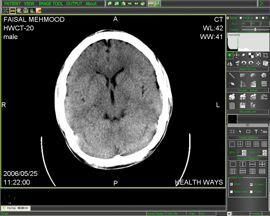 Gantry taken out of the wooden package and transported into the Scan Room. 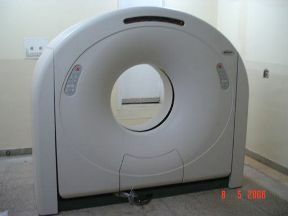 Gantry finally placed in the Scan Room. 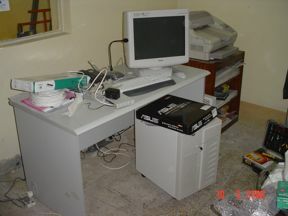 Console table with the Display Unit. 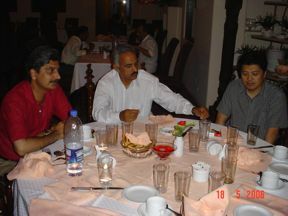 Senior Radiologist Col. (R) Shams (Middle), Dr. Qazi (Left) and Mr. Leo during a party. 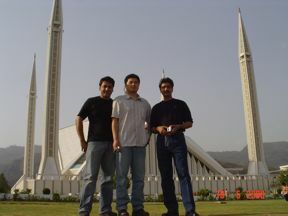 Faisal Mirza, Mr. Leo and Dr. Qazi at Faisal Mosque, Islamabad. 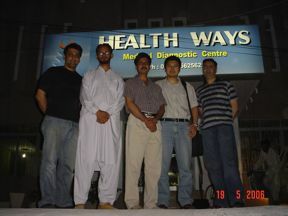 (From Left to Right) Faisal Mirza, Aurangzeb, Dr. Qazi, Mr. Leo and Dr. Nasir. 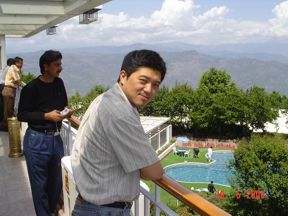 Mr. Leo and Dr. Qazi enjoying a view at Hotel PC Bhoorban.